The Vauxhall Astra is one of the mainstays of the small family hatchback class, and sells in huge numbers as a result. And, this latest Astra might just have what it takes to compete with the Ford Focus and Volkswagen Golf. 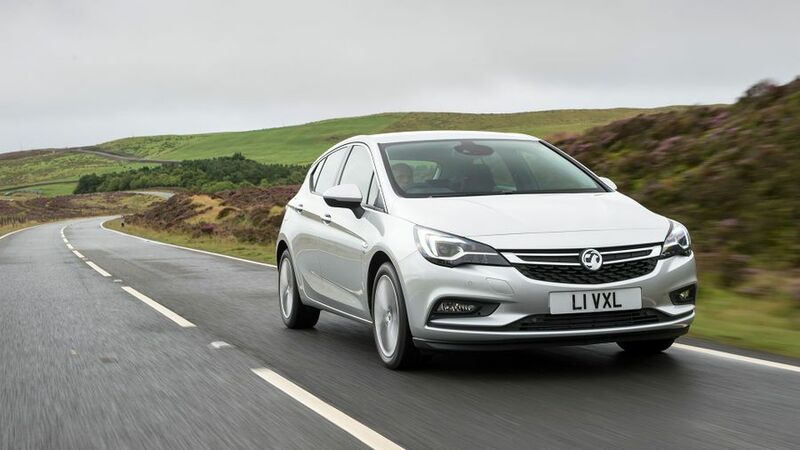 It’s been a long time since the Vauxhall Astra mounted a realistic challenge to the leaders in the small family hatchback class, but this latest version has a shout. It’s good to drive, well equipped, competitive on practicality, and affordable to buy and run. The styling of the latest Astra isn’t exactly a huge departure from what’s gone before, but that’s no bad thing. It’s a smart, nicely proportioned car, and with swept-back headlamps, sharp creases running through the door handles and a tapering roofline towards the back, it also has some fairly swish-looking details. What’s more, one Astra looks as good as another no matter how much money you spend on it. Even entry-level Design cars get alloy wheels and LED daytime running lights, and aside from the front foglamps you get on high-end SRi and Elite models, the look of the car is pretty much the same regardless of trim level. Climb into the Astra, and you’re greeted by a cabin that’s well ordered and simple to use. The driving position is easy to get to grips with, and the dashboard has controls that are logically placed and clearly marked. The standard Intellilink touch-screen infotainment system, which supports Apple and Android connectivity systems, takes a little more getting used to, but it does lend the cabin a fairly high-tech feel. So do the OnStar services (free for the first year with the top two trims, optional on the rest of the range), which give you your own wifi hotspot and 24-hour emergency and breakdown assistance, along with access to your vehicle data through a smartphone app. 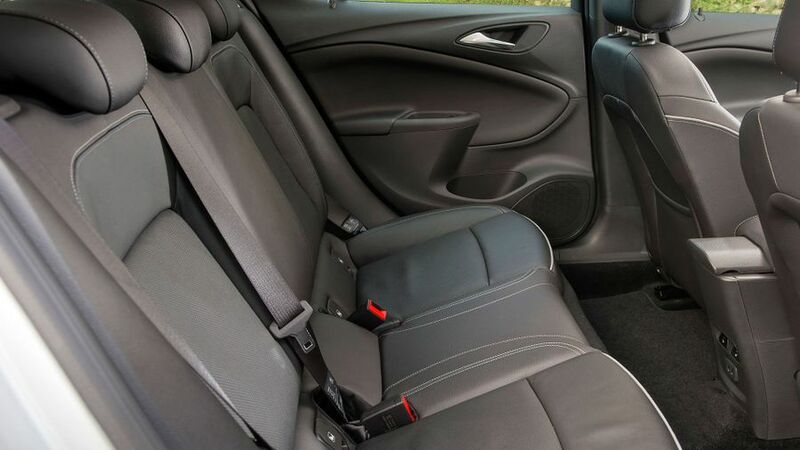 Another strength of the Astra’s cabin is quality. There are some soft-touch materials and attractive finishes on show, and the design looks fresh and sophisticated. Granted, some of the panels - like the central partition between the driver and front passenger - feel a little scratchy and low rent, so it’s no match for a VW Golf on outright swankiness. However, Ford Focus buyers may well be looking through your window feeling a pang of jealously. The only real black mark against the Astra is its rearward visibility, which is hampered by the very hefty rear pillars. Vauxhall has done an impressive job here, because despite the fact this Astra is a smaller car (shorter, lower and with a shorter wheelbase) than the one it replaces, it has more interior space. Granted, the car’s practicality is more competitive than class-leading when compared with its rivals, but the rear seats have easily enough head- and legroom to keep a pair of gangly passengers happy, and the boot is also a decent size at 370 litres. That said, there’s a hefty load lip, and although you get split-folding rear seats across the range, you’re left with a big step in the load floor when you fold them down. 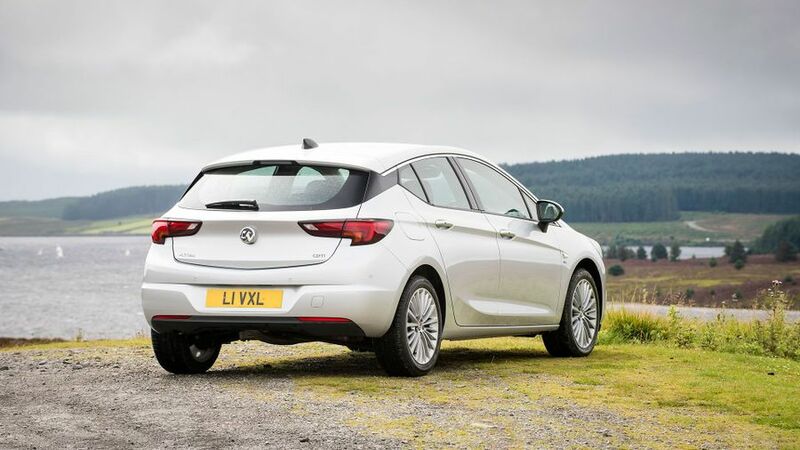 When engineering the latest Astra, Vauxhall paid particular attention to keeping the weight down, and this really shows in the way the car behaves on the road. It feels impressively light on its feet in the corners, allowing the car to turn quickly and crisply, giving a nice, agile feel. This is helped further by strong grip, tight body control and nicely weighted steering with consistent responses. SRi models also have a Sport button that dumps more weight into the steering and sharpens up the throttle response, and it’s pretty effective in giving the car a slightly sportier character. Thankfully, the Astra also provides a reasonably supple ride. Yes, there’s a slightly firm edge over rough surfaces, but it rarely gets unsettled and strikes a really nice balance between comfort and control. There are eight engines to choose from in the Astra range, five petrol and three diesel, but so far, we’ve only tried three. The first of these is the mid-range 134bhp 1.6-litre ‘Whisper’ diesel, and it delivers strong, consistent pull from around 1,500rpm to keep you rolling along easily in most situations. True to its moniker, it’s also pretty quiet, but you do feel quite a few vibrations through the controls. There’s some road noise to be heard at cruising speeds as well, but wind noise is very well contained. The turbocharged 1.4-litre petrol with 148bhp is another flexible performer, and is also pretty smooth, even if it doesn’t make the Astra feel all that quick. That's an accusation you could also level at the three-cylinder 103bhp 1.0-litre unit, although it's perhaps stronger than you might expect of such a small engine: fine around town, happy to keep up with everyday traffic and easily capable of cruising at the legal limit on the motorway. It does get rather noisy when you rev it hard, but with peak torque coming at below 2000rpm, that's not something you need to do too often. 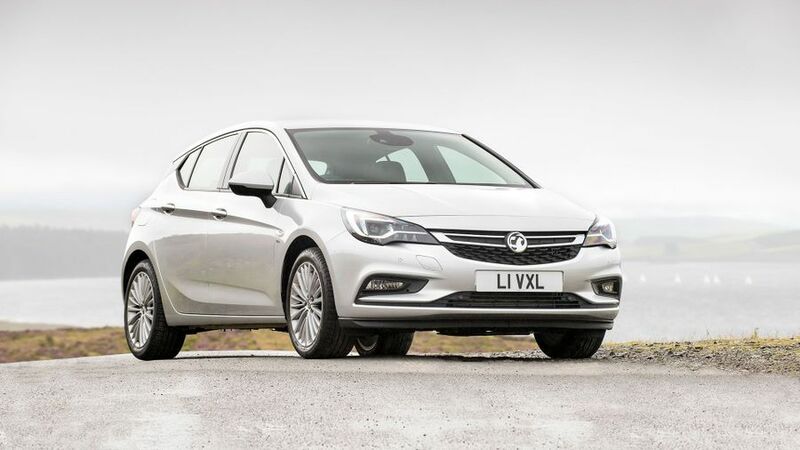 Vauxhall has got more sensible with the Astra’s pricing – it’s actually cheaper to buy than its predecessor – and that makes it an affordable option in a class where prices are creeping ever upwards. This, along with the impressive efficiency of many of the engines, will also keep tax costs down for company car drivers. 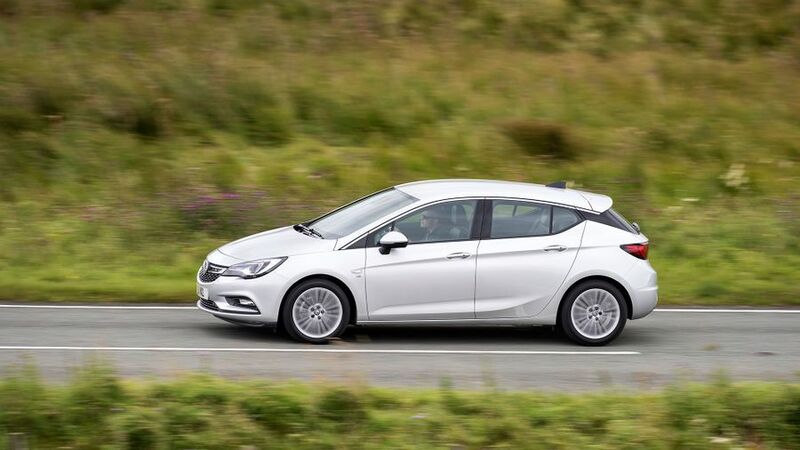 The 134bhp diesel version we’ve tried returns official figures of 72.4mpg and 103g/km CO2 emissions, while the cleanest Astra, the lower-powered diesel fitted with stop/start and small wheels, is capable of 91.2mpg and 82g/km. A small word of caution, though: traditionally, Vauxhall’s resale values haven’t been all that strong, so you’ll probably take a bit of a financial hit when the time comes to sell the car on. According to the Warranty Direct Reliability Index, Vauxhall couldn’t be any more average in the reliability stakes. The brand sits slap-bang in the middle of the table of the study’s manufacturer rankings. That said, the last Astra was by no means the firm’s most reliable car, with a below-average rating, but since that car and the latest car have very little in common from a mechanical point of view, you’d hope that situation would improve. The three-year/60,000-mile warranty cover you get is pretty standard, but some rival manufacturers are a lot more generous. The car has been tested by Euro NCAP, and achieved the full five-star rating, but the amount of safety kit you get with your Astra depends on which trim level you go for. 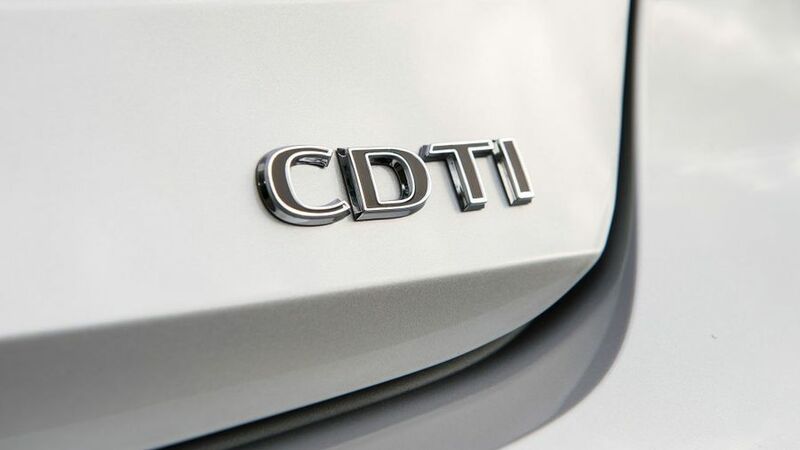 Lower-spec cars come with six airbags and a stability control system, but from SRi trim upward, you also get an additional suite of active safety systems that includes Lane Departure Warning, Lane Keep Assist and Autonomous City Braking. Even entry-level Design models have most of the goodies you want, including air-con, DAB radio, Bluetooth, cruise control and four powered windows, while Techline trim adds sat-nav and a leather steering wheel. Energy trim does without the nav but features bigger wheels and heating for the front seats and steering wheel, while SRi cars come with sports seats, front foglamps and Onstar. Range-topping Elite models have climate control, leather upholstery, electrically adjustable front seats and heated rear seats, as well as USB charging sockets for those in the back. Because it’s a good all-rounder. Good to drive, well equipped, affordable to buy and run, and practical enough for a small family, it does all the jobs an Astra should do well.